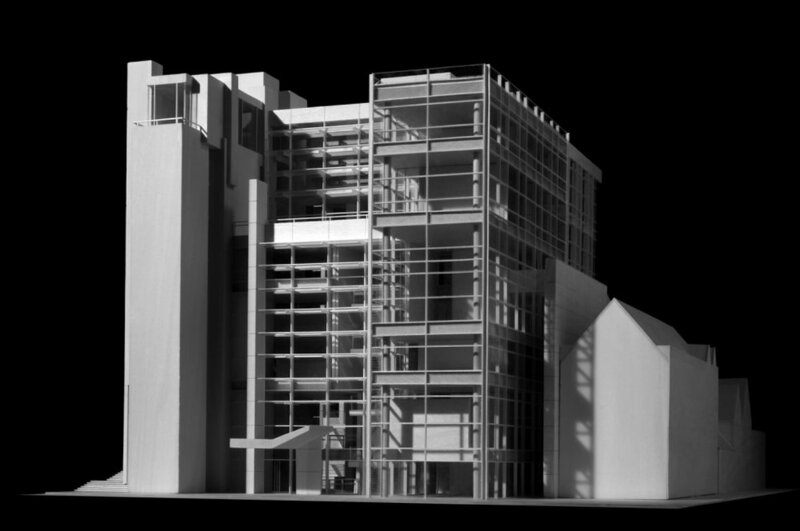 Model of Richard Meier’s proposed addition to the Yale School of Architecture. 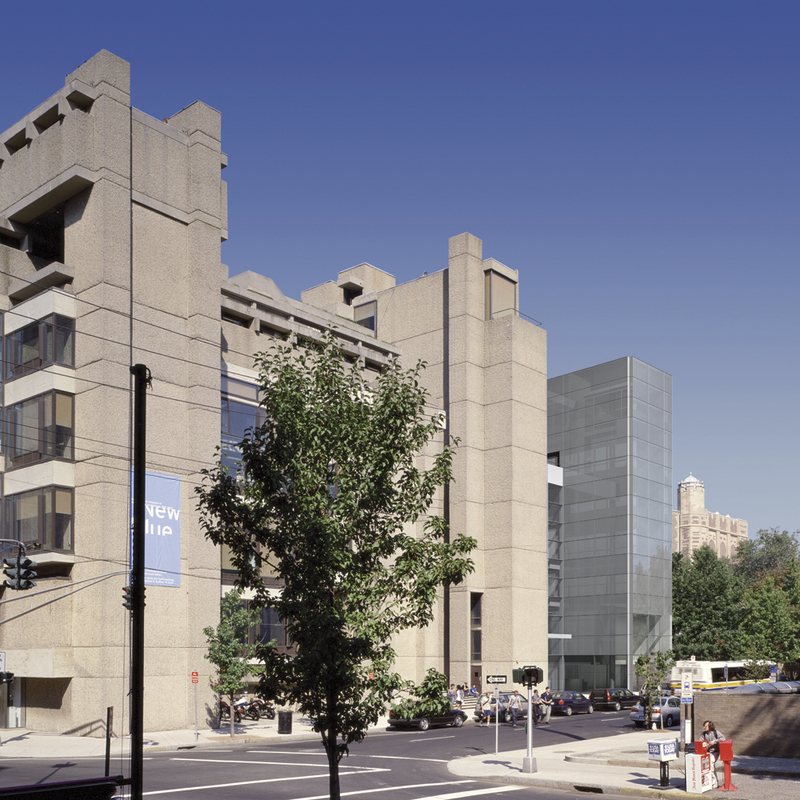 As a result of a 1996 planning study, Yale University decided to undertake the exterior and interior renovation of Paul Rudolph’s iconic Yale School of Architecture building along with a seven-story addition. A number of proposals were generated from well-known architects such as Skidmore, Owings & Merrill, Richard Meier, and Beyer Blinder Belle. 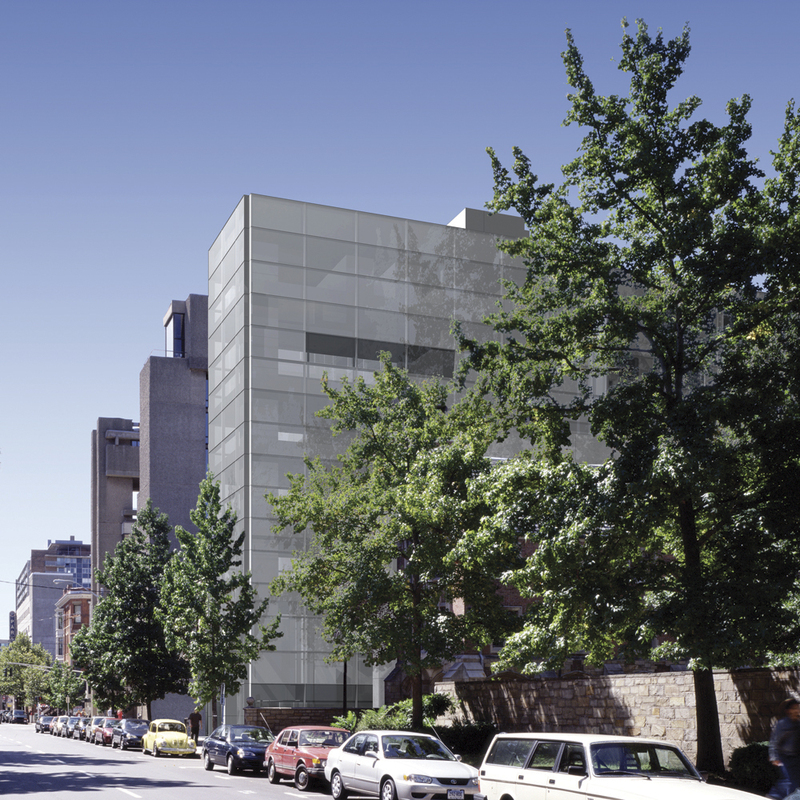 Gwathmey Siegel Kaufman Architects were finally awarded the $126 million project which included renovation of Rudolph’s original 116,000 sf building along with a 87,000 sf addition to be known as the Jeffrey H. Loria Center for the History of Art. The project was completed in 2008 and won many awards including the AIA NY State - Award of Excellence for Historic Preservation in 2009. 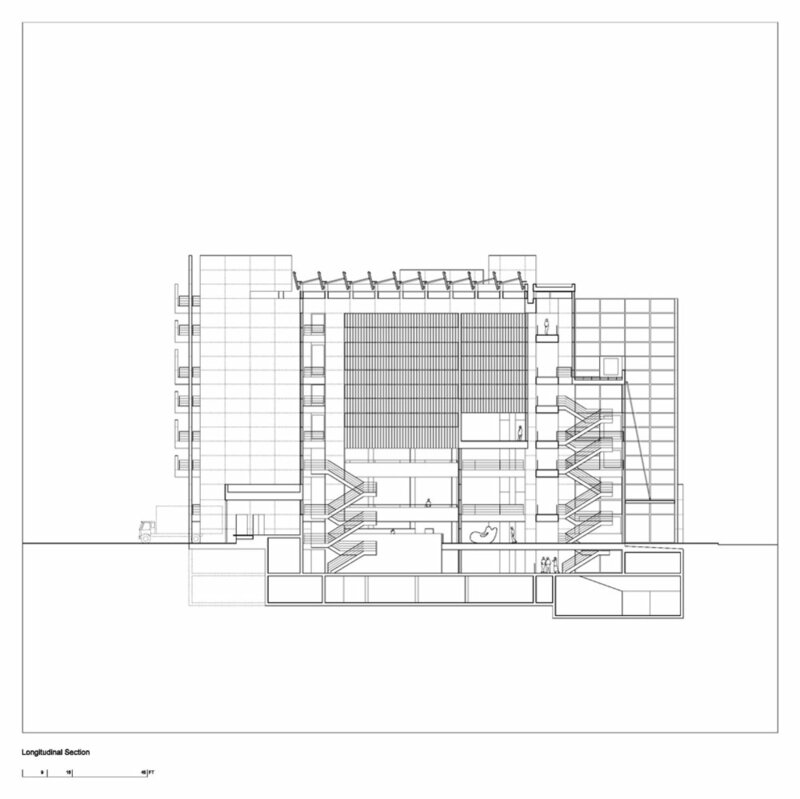 The proposed new building for the Department of the History of Art and for an expanded Arts Library is located adjacent to the Art and Architecture Building by Paul Rudolph of 1963. The two will be closely interconnected, and this integration reflects the time-honored interaction between the arts and architecture. 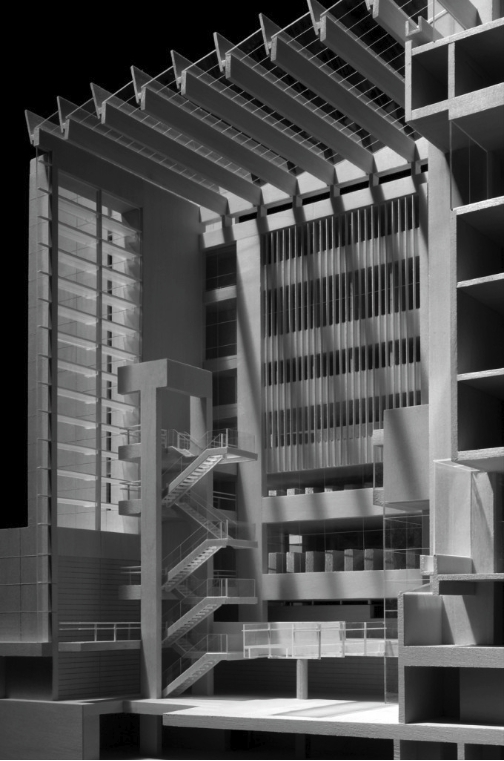 Encompassing a total gross area of some 175,000 square feet, the new building rises seven floors above the street and has two levels below grade, following the sectional precedent of the Rudolph building. A top-lit atrium, which accommodates the main reading room of the expanded Arts Library, connects the two buildings. 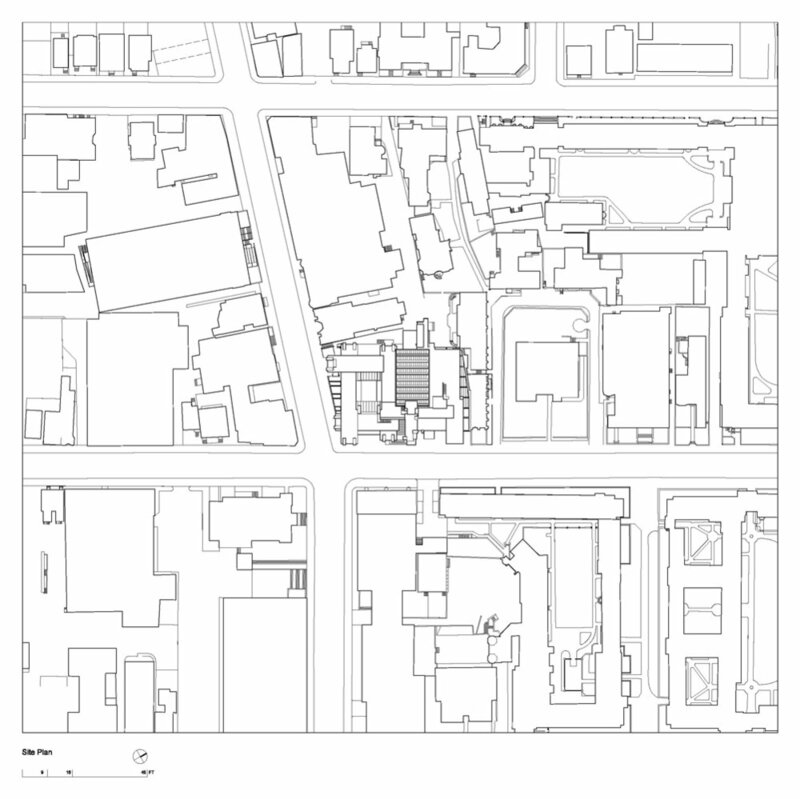 It occupies a void adjacent to the existing structure, which Rudolph had envisioned as a courtyard in the potential expansion of his building. While the principal entrance is located in the new building, the original entry into the Rudolph building will be maintained with direct access into the original northeastern stair/elevator tower or indirect access up the adjacent grand staircase. 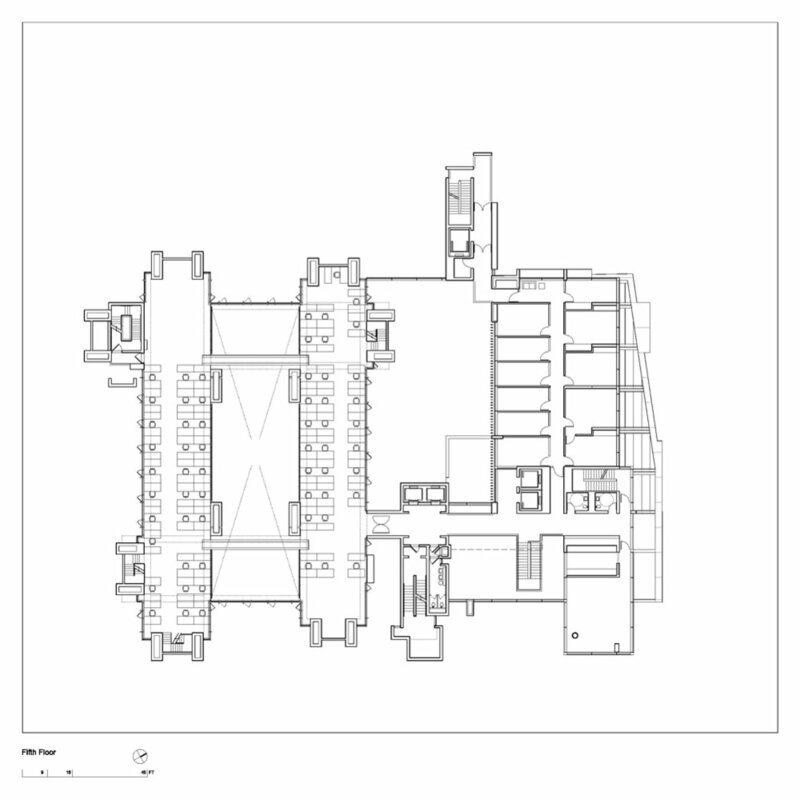 The ground floor is mainly given over to the reference library, but it also provides an auxiliary semi-public element, a small exhibition space and a café close to the main entrance. There are two lecture halls in the lowest level of the new building, which, together with Hastings Hall in the basement of the Rudolph building, constitute the new lecture complex. The new building juxtaposes a small number of enclosed volumes – faculty offices and seminar rooms – with expansive spaces mostly clad in either translucent or transparent glass. In contrast to the “corduroy” concrete of the Rudolph building, the curtain walls and glass roofs of the new building act as membranes filtering natural light into the structure and creating a variety of light conditions according to the time of day and the season.